But what has been even more surprising is that it is one of the most affordable premium eCommerce plugins out there with undeniably THE BEST support available for any plugin I’ve seen. There are also a huge amount of documentation and helpful videos to get you started or if you wanted to learn more about eStore’s capabilities. In this article I want to highlight the main functional points of the eStore plugin which I hope will answer the most common questions people normally have when they are searching for an appropriate eCommerce plugin for their online business. Why limit the choices of how your customers can pay when you can give them a selection of payment gateways to choose from. If you wanted even more payment gateways, then that can also be easily achieved by getting the WP Payment Gateway Bundle Plugin. The WP eStore plugin takes security very seriously and this is exemplified by how it handles transactions and delivers downloadable content. For instance, the eStore plugin is coded in such a secure manner that it will always make sure that a payment has been verified by the respective payment gateway before proceeding with a purchase or the exchange of any download links or access to content. This is a crucial security benefit because when relying on the payment gateway for verification of the transaction, eStore is ensuring that it is impossible for somebody to send fake information during the purchase. Another great security feature of the eStore plugin is the way it can protect download links when somebody purchases a digital product. The “encrypted downloads link” feature of the plugin allows the online store owner to configure the system to send encrypted download links to the customer which effectively mask and protect the true location of your downloadable content. In addition to protecting the identity of your download links, you can also configure the encrypted links to expire after a certain time or after a maximum number of clicks or both of these criteria. For example you can configure the encrypted download link of your product to expire after 48 hours. This means that you customer will have access to the downloadable content for 48 hours from the time they click on the link. When more than 48 hours has elapsed, the encrypted link will expire and will no longer allow access to the downloadable content. Similarly if you configure the encrypted link to expire after 2 clicks, then anybody trying to access your content by clicking the encrypted link for the 3rd or subsequent time will not be able to access that content. Additionally if you configure the link to expire in 48 hours and also set it to expire after 2 clicks, then your link will expire after whichever of the conditions happens first. By integrating your autoresponder account with WP eStore, you can very easily add people to your list after they’ve purchased a product. In fact, eStore is very flexible in the way it does this because not only can you specify a “global“ list which will apply to all products but you can also configure separate lists on a per product basis. Therefore you can add specific customers to different lists depending on which product they purchased. Out of the box eStore will allow you to display your products and buttons in a number of ways depending on your preference. For instance you have options ranging from displaying a simple default “Add To Cart” or “Buy Now” button to presenting your products in a stylised way with thumbnail images plus some brief product information and an Add To Cart or Buy Now button. WP eStore also gives you the option of inserting your own button images which is really cool because you this allows you to perfectly match colors and styles to suit your theme or page. Click here to see a demo of the many display options available in eStore. The flexibility of eStore is also evident in the wide range of shortcodes available which can be used to offer the various styling options discussed above. Never before has it been easier for people to start up businesses online by offering digital products and content to their customers. The thing that eStore does best is the way it handles the selling and delivery of digital products. WP eStore excels in the digital product shopping cart realm and the listed features below are some of the reasons why. As mentioned previously, eStore provides many secure ways of sending and presenting downloadable files and content for your clients. Sleep in comfort knowing that your downloadable products are protected from those trying to scam you. eStore makes it very easy for merchants and online marketers to present free downloadable content in exchange for an email address. By using a simple shortcode, you can display a nice download form which your visitors will need to enter their email address in order to collect their free download. WP eStore makes is easy to set up your site into a “Pay Per View” video site where only your paying customers can view the video content. This plugin provides the option of easily presenting your downloadable items to a customer immediately after payment has been processed successfully. eStore can be configured to redirect buyers to a “Thank You” page after successful payment and it can display an encrypted link for your digital products on that page. There are a swag of settings and options available in the eStore plugin which can also be used to make the selling/buying experience much easier for you as the merchant and your customers. You can create coupons and specify various discount conditions based on certain criteria quite easily with this plugin. Not only does it provide your customers with a means to enter a special coupon code at the time of purchase but this plugin can also be configured to automatically apply a coupon discount based on certain conditions. As an administrator of your online business you may from time to time find it necessary to re-send encrypted links for your downloadable products to your customers. This can be easily achieved in the eStore plugin via a simple interface in the admin section. The beauty of this feature is that because the links you send are encrypted, you are not only protecting the source or your content, but you can also configure the link to expire after a period of time and/or certain number of clicks. eStore has some optional configuration which allows the administrator or merchant to collect customer input on a per product basis. This can useful in cases where you might need the buyer’s input to personalize a product. You can customize the content inside the automated email body which the buyer will receive from eStore after they’ve successfully made a purchase. The plugin allows for a variety of information to be automatically included in an email via the use of email tags (which sort of work like shortcodes) which the plugin uses to read information from the system database and insert it into an email. 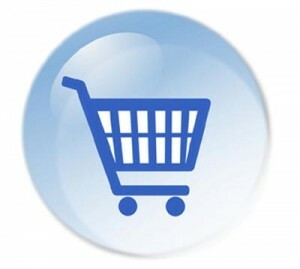 The eStore shopping cart plugin will allow any currency provided it is supported by the payment gateway your are using. You can use the built in language support capability of eStore via language files to customize various text and messages into your language. If you’ve had not so good experiences with the technical support for your current shopping plugin then you’ll be amazed at the superior support provided by the makers of the eStore plugin. Questions and queries can be submitted in the “customer only” forum and answers are usually provided in less than 24 hours and in most cases much sooner. In addition there is a wealth of information, tips and documentation on the forum and the main site which you can read in your time to learn something new or troubleshoot a problem by yourself. The thing about the Tips and Tricks HQ technical support is that you really have to experience it to believe it.